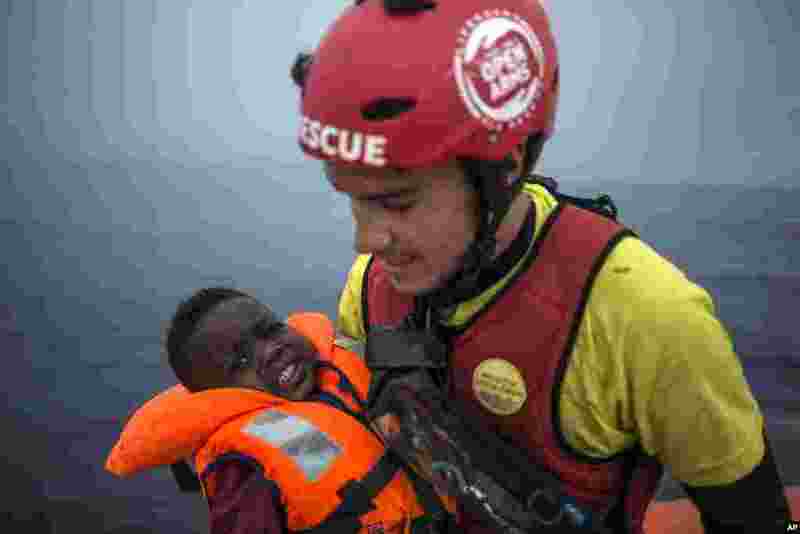 6 A member of Spanish NGO Pro activa Open Arms holds a baby rescued at a dinghy at Alboran Sea, about 40 miles (64 kms) from the Spanish coasts. 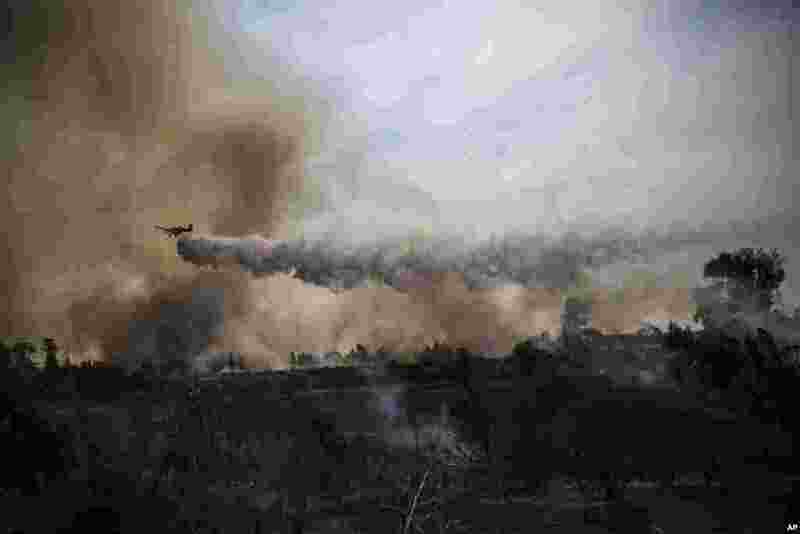 7 A firefighting plane passes over a fire started by a balloon with attached burning cloth launched by Palestinians from Gaza Strip in Karmia nature reserve park near the Israel and Gaza border. 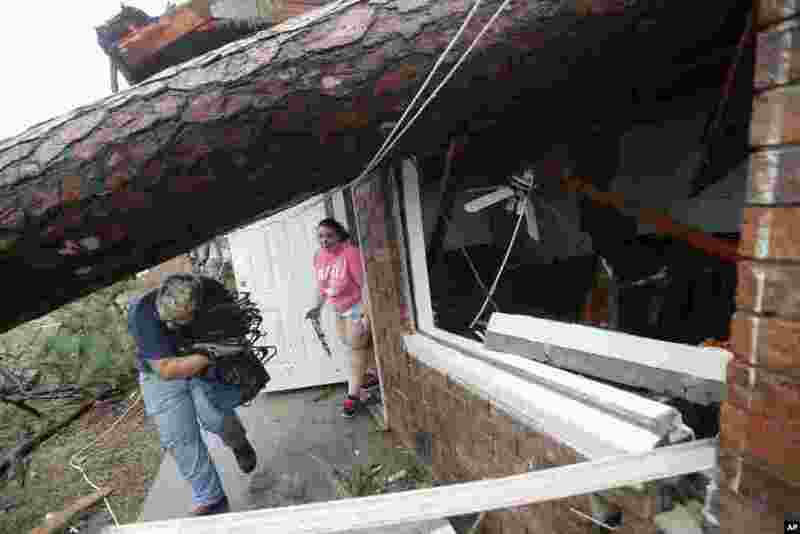 8 Megan Williams, left, and her roommate Kaylee O'Brian take belongings from their destroyed home after several trees fell on the house during Hurricane Michael in Panama City, Florida, Oct. 10, 2018. 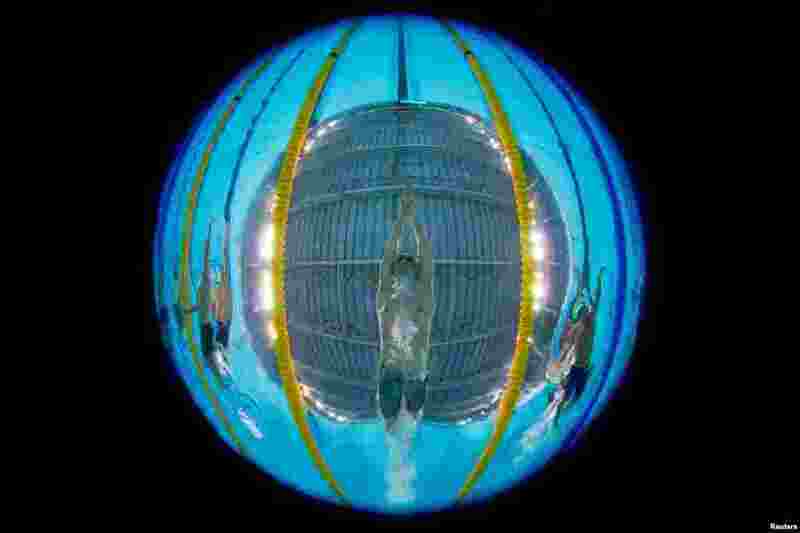 9 An underwater shot of Kristof Milak of Hungary (center) competing alongside Jakub Kraska of Poland (left) and Lucas Martins Costa Peixoto of Brazil during the Swimming Men's 100m Freestyle Heat at the Natatorium, Youth Olympic Park in Buenos Aires, Argentina.